We're happy, geeky, 'toyful'... and just the right amount of crazy. Happy Worker's team of toy and design geeks keeps cheerily busy creating and obsessing over custom toys and exclusive collectibles. We don't talk about ourselves much - we prefer to be making fun things (+ creating happiness!). But we've been told people want to know more about us, and that every website needs an "about us" section - so we hope this section helps A's some of your Q's. 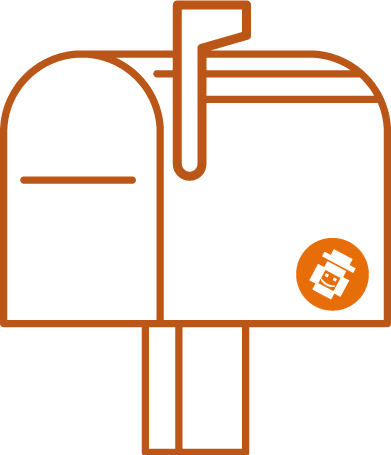 Frankly, we're more interested to learn about YOU and how toys and collectibles can help create happy fans. So here's to our future conversation & toy joy-to-come! 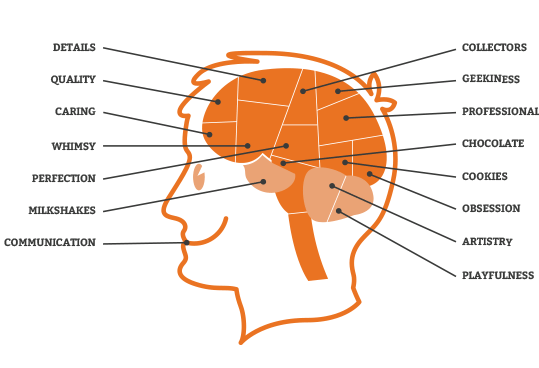 What makes a Happy Worker? A pinch of this, a dash of that, and more "what the?!" than you can shake a couple sticks at. Our story started with a wild idea… and it’s only getting wilder. Like most creative ventures we started small but with big ideas. We loaded our pockets full of happy toy karma and piss n’ vinegar, and set off on our adventures...! In the years since we’ve had the great fortune to collaborate with amazing people. And along the way we’ve created happiness each toy, each fan, and each client at a time. Dream some refer to as “crazy” spills from brains of a few toy loving geeks + designers. We invest hearts and hard-earned savings while burning barrels of midnight oil. Firstborn toy, GeekMan, arrives and immediately increases nerd quotient of toy universe. Little 6-inch plastic geek makes beaucoup media appearances & gets slashdotted… which was a big thing in the earlier days of the Internets. GeekMan visits art galleries, and new figures BossMan and MoneyMan are created. Toys appear twice in The New York Times in 2 weeks. 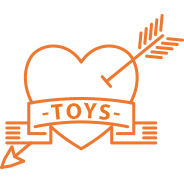 Begin our first toy collab which results in very happy client + fans. SuperMom is born and moms celebrate a toy of their own. 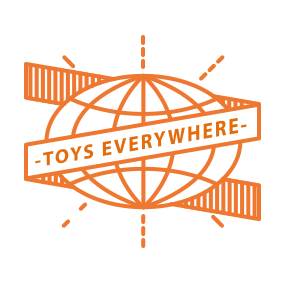 First line of toys now available in >300 toy shops & boutiques in 8 countries. Make first line of 3D modeled & rapid prototyped toys, as well as first plush (go, fuzziness!). ‘Great Recession’ hits: some toys-in-progress postponed or cancelled, causing switch to less expensive brands of cookies. On a surprisingly unrelated note, we craft our own tin foil hats. Vancouver 2010 Olympics names Happy Worker official toy licensee & co-creator of the mascot vinyl toys. We also produce a vinyl figure with a sundae and celebrate with real sundaes (yum! + brain freeze!). Wild fun n’ frolic as team visits Vancouver to be backstage for 2010 Winter Games & launch toys. Collab with first Hollywood movie, and a design festival we’ve made toys with asks us to turn an old playground into a DIY art piece. Begin collab with video game publisher whose addictive games almost caused one of our co-founders to flunk out of college. Also create a talking car for Superbowl ad, completing our own Hail Mary pass getting toys to the big game a few hours before kickoff despite one of the largest snowstorms on record. Share our love of toy making on panels at San Diego Comic-Con + New York Comic Con. Collab on a ferocious collector’s edition figure that includes giant flaming sword. Robotic fans are happy as we finally collab on a super cute robot (beep beep boop!). We co-create a line of figures that include a fantastical rainbow hammer, and happily help raise the bar in mini figs, plush and resin figures. Plus we co-create vinyl bacon and a plush dino bot. Among some wonderful vinyl and plush toys, we make our first solar powered toy and our first collector chess set, which helps one of our teammates properly replace his father's chess set that he "borrowed" as a teenager. Our wildest year yet as we push ourselves and our work into the highest heights. All challenges are conquered with copious quantities of cheerfulness and candy. With our team spread across 3 continents we celebrate together whenever we can! Each day we continue to live our toy making dreams and push ourselves to be better. And so our happy toy story continues…!